Recording equipment: BIS’s recording teams use microphones from Neumann, DPA and Schoeps, audio electronics from RME, Lake People and DirectOut, MADI optical cabling technology, monitoring equipment from B&W, STAX and Sennheiser, and Sequoia and Pyramix digital audio workstations. 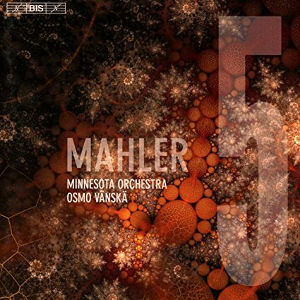 Osmo Vänskä’s Mahler cycle with his Minnesota Orchestra for BIS continues apace with this the third issue to be released so far. My colleague John Miller welcomed the 5th Symphony last year Mahler: Symphony No. 5 - Vänskä . This was followed by the Sixth Symphony and I understand that the First, Fourth and Seventh are already recorded for future release. 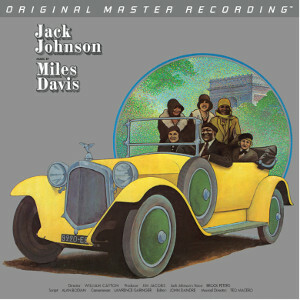 The fierce and almost abrupt statement of the opening theme on cellos and basses might suggest that this is destined to be a brisk account of the ‘Allegro maestoso’ but it quickly becomes evident that this is definitely not the case, and as the movement progresses the pervading mood is very much that of ‘Todtenfeier’ (Funeral Rites) that was Mahler’s original conception behind this music. 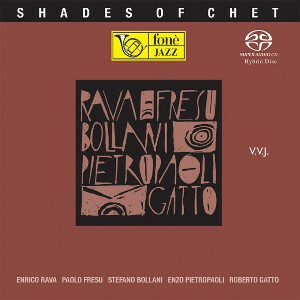 Vänskä is not afraid to make considerable tempo fluctuations to emphasise both the majestic solemnity of many passages and the heart wrenching beauty of others while still maintaining the music’s forward pulse. This conductor’s celebrated control of dynamics and his meticulous attention to Mahler’s detailed instructions in the score is evident within the parameters of his characteristically individual interpretation that does include the use of tasteful portamento. It would be difficult to over-praise the refined playing of both individual musicians and the overwhelming corporate strength demonstrated by the Minnesota Orchestra in this movement. 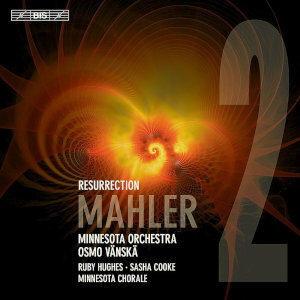 Unlike the majority of high resolution versions of Mahler’s Resurrection Symphony available this one is accommodated on a single 5.0 multi-channel SACD with a playing time of 84’38”. Mahler prescribed a pause of at least five minutes following the first movement and in a nod towards this BIS have left a break of around 20 seconds before the start of the ‘Andante moderato’ thus providing listeners plenty of time to easily extend the pause should they so wish. Vänskä’s ‘Andante moderato’ is marked by a Mozartian grace and string playing of notable delicacy. 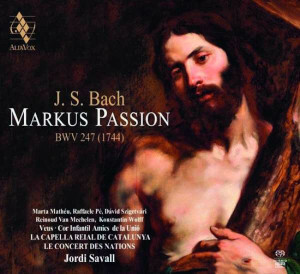 His flowing tempi eschew any trace of coyness or sentimentality and the vigour with which the darker central episodes are played do, as Mahler intended, cast shadows over what is otherwise an untroubled landscape. The parodic Scherzo that follows is also free from any interpretative mannerisms. It is performed with remarkable precision and virtuosity allowing every detail of Mahler’s contrapuntal writing to be heard to the full. The fourth movement ‘Urlicht ‘is Mahler’s setting of ‘O Röschen rot!’ from ‘Des Knaben Wunderhorn’. This declaration of unwavering faith is ravishingly sung by the lustrous voiced mezzo-soprano Sasha Cooke. Her absolute steadiness and seemingly effortless control is especially praiseworthy at Vänskä’s measured but effective tempo while the Minnesota Orchestra’s poised accompaniment, starting with a superbly played brass chorale, could hardly be more sublime. Mahler’s vision of death, judgement and resurrection that comprises the Symphony’s finale begins with a thunderous orchestral crash. It is a perfect illustration of the huge dynamic range of this recording and incidentally the quality of the Minnesota Orchestra’s magnificent percussion section who cover themselves in glory throughout this performance. What follows is conclusive evidence, if any were needed, of Vänskä’s undoubted stature as a Mahler interpreter. His pacing of this vast movement is totally assured and his orchestra rise unfailingly to its challenges including a superbly trenchant ‘march of the dead’. The engineers judicious use of the surround channels for Mahler’s offstage instrumental passages conveys a wonderful sense of vast spaces extending beyond the confines of Orchestra Hall and this adds immeasurably to the theatricality of the performance. The hushed entry of the chorus and soprano soloist – the angelic sounding voice of Ruby Hughes – with the words ‘Aufersteh’n, ja aufersteh’n wirst du’ (Rise again, yes you will rise again) is a heart-stopping moment. In the ensuing solo passages the voices of Sasha Cooke and Ruby Hughes blend and soar rapturously and thanks to the committed singing of the well-drilled Minnesota Chorale the build up to the ultimate affirmation of faith is both moving and uplifting. The final orchestral peroration that on some recordings can be anticlimactic is here ecstatic – sonorous brass fanfares capped with a firm room-shaking organ, pealing bells and massive tam-tam strokes – a thrilling and worthy conclusion to Vänskä’s gripping account of the score. 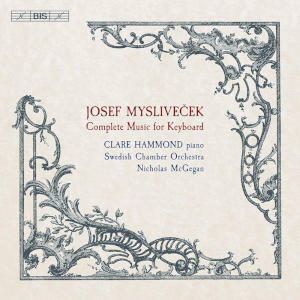 The recording was made in Orchestra Hall Minneapolis (June 2017) and the BIS engineering team have unquestionably risen to the almost impossible challenge of capturing the symphony’s scale while at the same time allowing the myriad instrumental detail of Vänskä’s account to be heard with absolute clarity. Overall the sound stage has plenty of depth though compared with some other recordings the listener appears to be placed some distance back in the hall thus confining the sound between the speakers rather than extending beyond them. Mahler aficionados are faced with a bewildering choice of competing versions of the ‘Resurrection Symphony’ ranging from the historic to those utilising the most advanced recording techniques and also displaying a wide range of conducting styles. When the unquantifiable preferences of individual listeners is added to the mix any idea of an overall recommendation for this work is absurd. 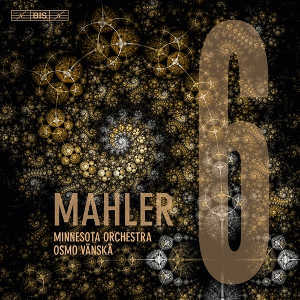 But few would argue that this release marks a milestone in Vänskä’s on-going Mahler cycle and it can be confidently placed amongst the top choices for both devoted Mahlerites and newcomers to the composer’s oeuvre. I got my doubts...………..I don&apos;t think this orchestra and conductor is suit to Mahler...……..give me Solti or Bernstein any time ! I got to add certainly NOT top choice by any stretch of the imagination ...……...This conductor is wonderful doing Sibelius ………….But NOT Mahler ! ! Far be it for me to be a curmudgeon but having heard Vanskä at Barbican Hall with the LSO a few times, I find his style of conducting to be far too aggressive and abrasive and unsuited to the gentle beguiling sweeps of late 19th/ early 20th C sentimentality of composers such as Sibelius & Mahler. His Sibelius cycle with the exception of the 4th was to my ears and sensitivities quite unremarkable yet many on here have lauded these performances. Colin Davis in his Boston days and Lorin Maazel with the Vienna Philharmonic have never been surpassed in wringing the last ounce of bleak lyricism from the Finnish master&apos;s landscapes. As Graham has commented in his review, there is a bewildering choice of "Resurrections" on Vinyl, CD & SACD and as a quasi Mahlerian my preference remains for Simon Rattle&apos;s CBSO performance on RBCD from 1987 that featured the legendary Janet Baker (later Dame). I have no reason to suppose that Maestro Vanskä has been more successful at tapping the elusive core of Mahler&apos;s oeuvre. I am also a fan of the mezzo-soprano Sasha Cooke; I&apos;m glad to see her on this. And I&apos;m looking forward to the rest of Vanska&apos;s set.